The iPhone has never been a serious contender when it comes to the megapixel race, and according to the latest rumours, the iPhone 6 won't be throwing any bigger punches in the numbers game. Word from the China Post, quoting a tip from the country's Nomura Security, claims that the next iPhone won't jump to a 12- or 16-megapixel sensor as predicted. 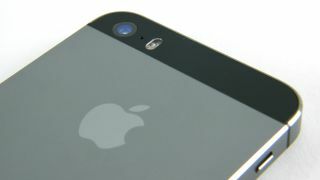 The report says that the iPhone 6 will instead adopt the same 8-megapixel camera but will improve optical image stabilisation. This is backed up by a newly-published patent application made by Apple for optical image stabilisation and improved autofocus for its iPhone camera. According to the patent, Apple's plan is to use "voice coil motor actuators" that will move then lens about around the optical axis. Apple's focus on improving the quality of its pictures rather than just increasing their size has done it a lot of favours so far - so while 8 megapixels might sound disappointing, we still have plenty of faith.